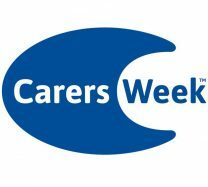 To mark Carers Week 2015, we have put together some sources of national and local help for Carers in North Somerset. This is largely sourced from Citizens Advice’s excellent article on Carers: help and support. You can get help and support if you’re responsible for looking after someone who has a disability, is getting old or has become ill. This can range from practical help to make day-to-day life easier to benefits like Carer’s Allowance. ►If you’re a young carer (under 24) you can get local and online support from the Carers Trust. ►If you’re a parent carer of a child under 18 with complex needs, NHS Choices has information about your rights and the support you can get. North Somerset Council might be able to arrange practical help to allow you to care more effectively and reduce your stress. This could include things like arranging for someone to step in for a while to give you a break or providing some extra support for the person you care for, to give you more time for your other responsibilities. To see if you can get practical help, you’ll need North Somerset Council to carry out a carer’s assessment. All carers are entitled to this. The carer’s assessment looks at how caring affects your life and work, and how you can carry on doing the things that are important to you and your family. A carer’s assessment isn’t an exam – you won’t be judged on whether the care you give is good enough. You may be able to get help to increase your income if your caring duties are affecting your finances. You can get free and impartial help to sort out your finances if you’re worried about having enough money to live on and meet your existing commitments. This could include better budgeting, learning how to make your money go further and dealing with debt problems. If you need further help or advice, there are a number of organisations you can contact.